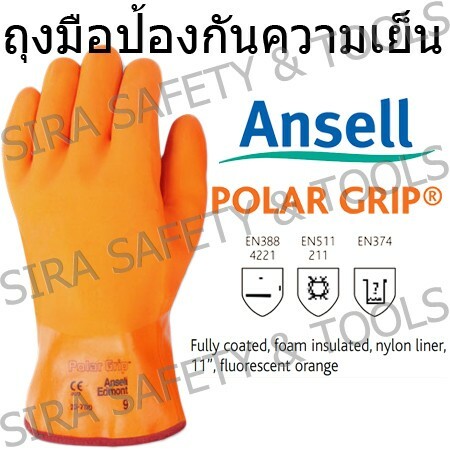 ANSELL heat resistant gloves named ''CRUSADER FLEX'' 14'' lenghts Nitrile coated gloves with lining can resist to 200 ° C. Suitable for handling material with high heat and oil. 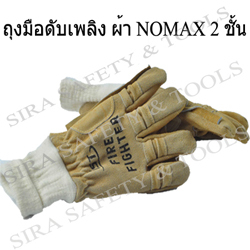 BLACK FIRE FIGHTER GLOVES, Made of durable leather 12" LENGTH with lining, Suitable for fire works. Toray armband 22-inch lenght with elastic. Use for dust, heat and scrap protection. 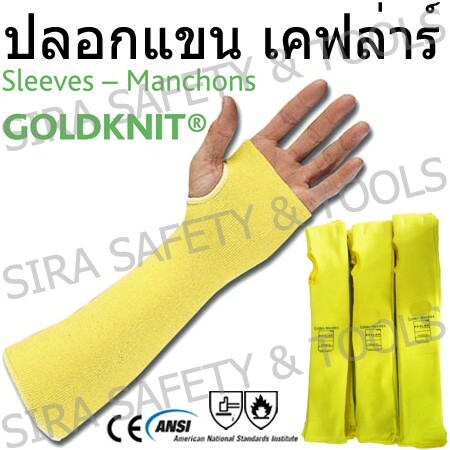 Kevlar sleeve 18 inches length made ​​of qualified Kevlar fibers. Suitable up to 100 degrees C heat. CE, ANSI standard. 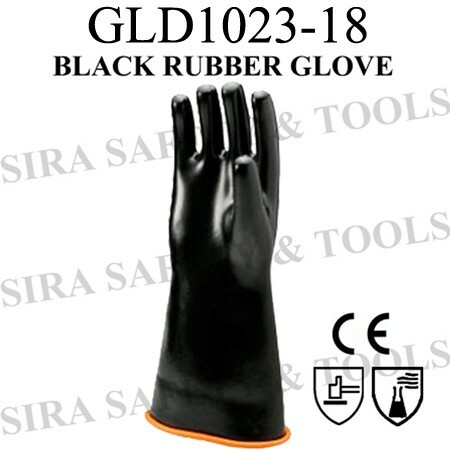 Black Latex Gloves (BLACK RUBBER GLOVE) high elasticity can work wet and dry. Resistant to acid, base and heat. Made of natural rubber which well processed soluble protein in natural rubber so no cause allergies while wearing. 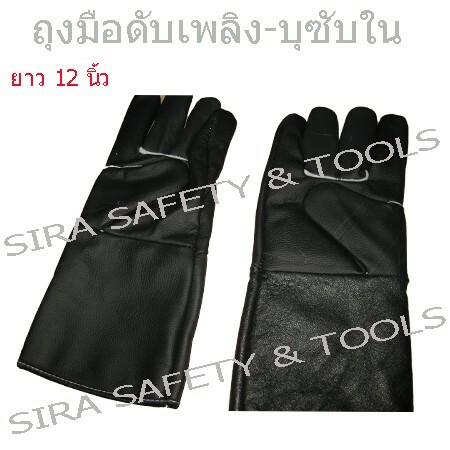 Leather gloves with heat resistance lining 14 inches. 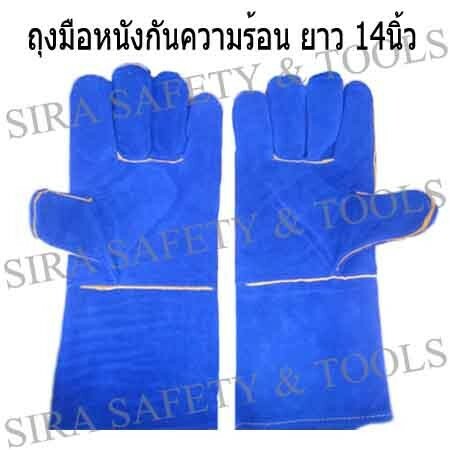 Leather gloves with heat resistance lining 14 inches, made ​​of leather thickness 1.2 mm, for electric welding work , no flamable. Standards of CE: EN388 and EN 407. Toray armband 17-inch lenght with elastic. Use for dust, heat and scrap protection. 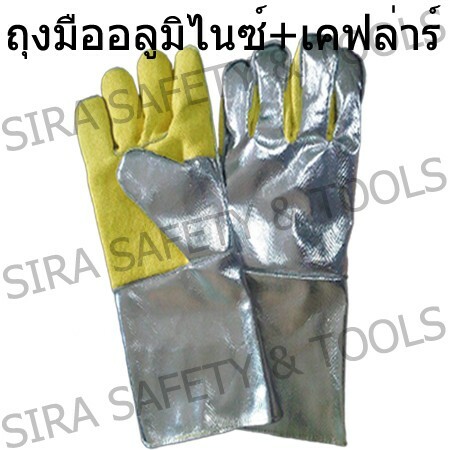 ถุงมือ ผลิตจากวัสดุเคฟลาร์ (Kevlar)แบบ 5 นิ้ว ทนความร้อน และอลูมิไนซ์ (Aluminize) สะท้อนรังสีความร้อนได้ 500-600 องศาเซลเซียส และกันความร้อนได้500 องศาเซลเซียส ด้านในบุด้วยผ้าทนไฟเพิ่มประสิทธิภาพในการป้องกัน และนุ่มนวลกระชับมือ เหมาะสำหรับงานหน้าเตาหลอมและเตาอบที่ต้องจับชิ้นงานที่มีความร้อนสูง และงานผจญเพลิง มีความยาว 12",14",16"
NEOPRENE GLOVES "ANSELL" MODEL THERMAPRENE, Made of 2 layers of neoprene 26 inch length, Black color, Chemical resistance, Abrasive against, Made in AUSTRALIA, Conform to CE AS/NZS 2161 EN420 EN388(3222) FDA APPROVED, Lightweight, Heat and cold protection, Grip design : Rough finish, Application : Chemical processing, Foods processing etc. 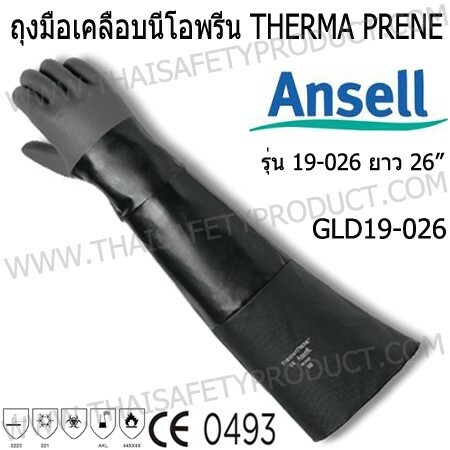 Cold resistance glove POLAR GRIP made from PVC -30 degrees C resistant. 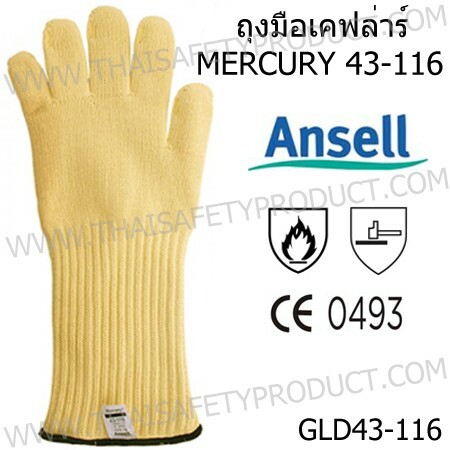 Length 11 inches GAUNTLET edge insulation refrigerant. CE standard. 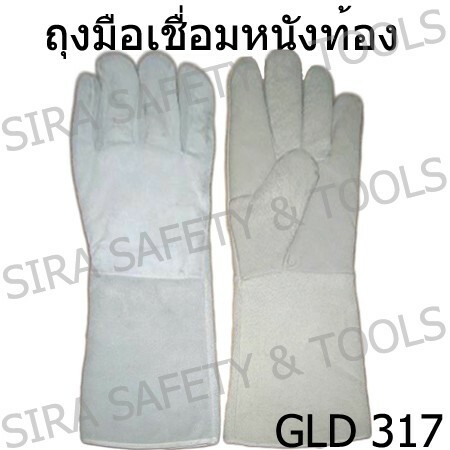 Welding gloves made of durable leather prevent from heat, fire, shapness. 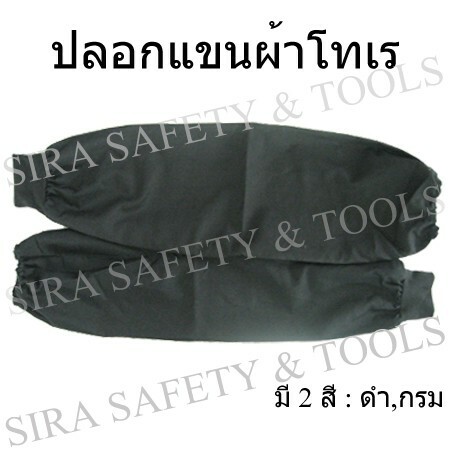 10 inches - 23 inches lenght suitable for welding and work related to the heat in heavy industrial which accident causes injuries. 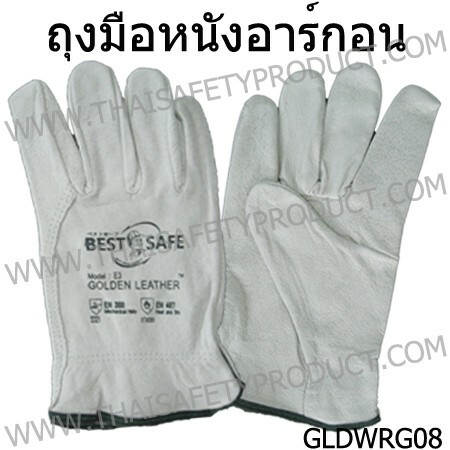 Welding gloves made ​​of split leather 1.3 mm thick, carefully tailoring. 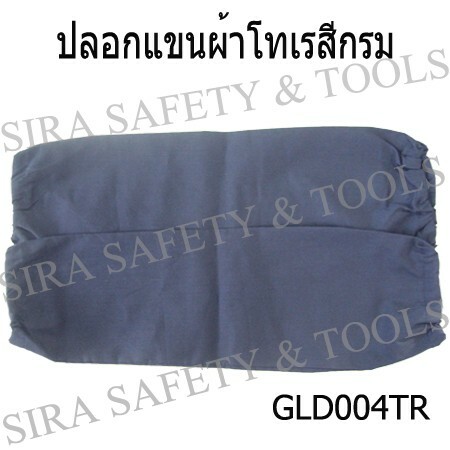 For durability fire and heat protection from working process. Good tighten. 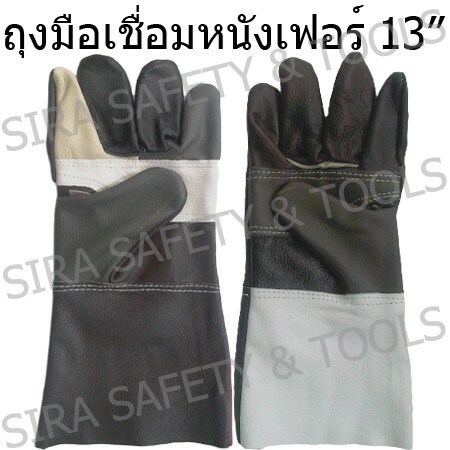 Length from 10 inches - 23 inches is suitable for welding on Heavy industrial and agriculture.